Marein, the creator of the highly acclaimed Marein Collection brand, as well as Elviria Duo and Marein Village, has just launched its latest offering: Oasis 22. Building on the critical and commercial success of Marein Village, Marein announced the much-awaited release of the luxury semi-detached villas on the New Golden Mile in conjunction again with Nvoga, which is the official commercialising partner for the project. Oasis 22 follows the trajectory of high quality style and refinement initiated by the developer of Marein Beach, homes that are already built and delivered to satisfied buyers. Oasis 22 offers contemporary architectural style in a series of three and four-bedroom semi-detached modern homes measuring 200 square metres and set on beautifully landscaped level gardens. If the exterior styling is lovingly crafted, the interior distribution is particularly well considered, with an open-flowing layout in which the generous living area blends into a state-of-the-art 21st century kitchen and luxurious outdoor living areas. Stylish communal gardens and a large central swimming pool, along with independent parking for two vehicles, offer outdoor lifestyle areas and perfect seclusion. Optional basement levels and tranquil lifestyle areas make this beautiful complex of townhouses the perfect solution for owners who wish to use the property either as a first home or holiday accommodation. 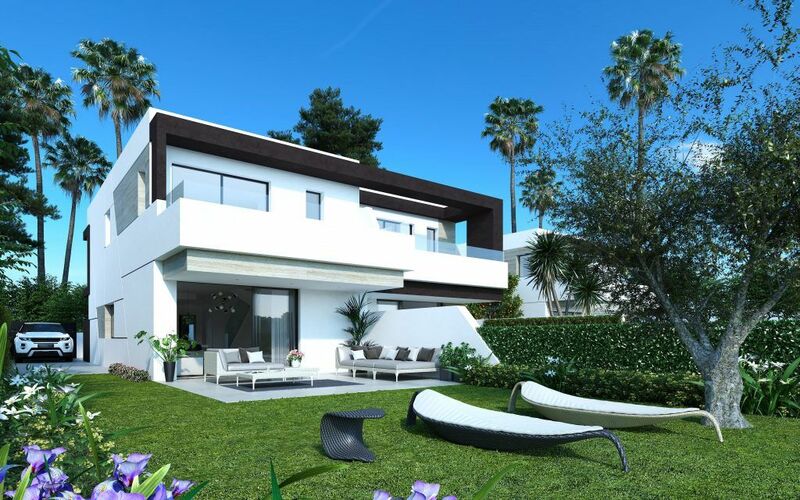 The complex, situated close to the La Resina Golf Club, enjoys close proximity to the beach, as well as the amenities of Estepona, Benahavis, San Pedro Alcántara and Marbella, with the stylish eateries, boutiques and beach clubs of Laguna Village just a few minutes away. The kitchens are fitted with Neff appliances, the tastefully appointed modern bathrooms form part of spacious bedroom suites with ample fitted wardrobes, and the porcelain large format flooring, heating and air-conditioning are all ingredients of these beautifully styled, fitted and finished contemporary semi-detached villas that offer the very best in today’s villa comfort and convenience. It’s the setting for a lifestyle made up of the best that the Costa del Sol has to offer. Contact Nvoga for more information or to arrange a personal viewing. 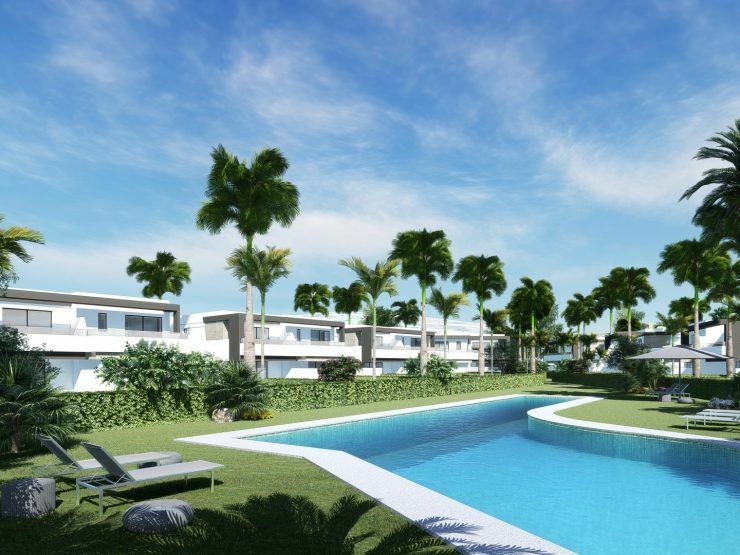 We’ll be delighted to tell you all about Estepona’s finest new townhouses.